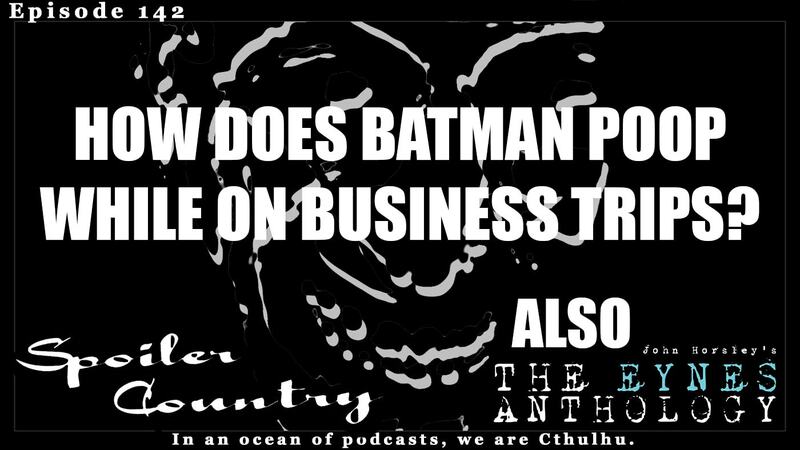 It’s been awhile so we give you a Tangent of Tangents 7 – How Does Batman Poop While on Business Trips? Yeah, it’s a big random, buuuttt it’s pretty great. Also, John is working hard on his kickstarter for his new book (http://eynesanthology.com/kickstarter) and he give sa shout out to all the other podcasts he’s been on! Be sure to check them all out! Here are links to the ones that are currently out! ← Aquaman Review, The DCEU, and The Eynes Anthology!